I put on the perfect fitting shirt then ate the Tim-Tams in a workman like manner, while rooting through the box, discovering stuff that was determined I may need. 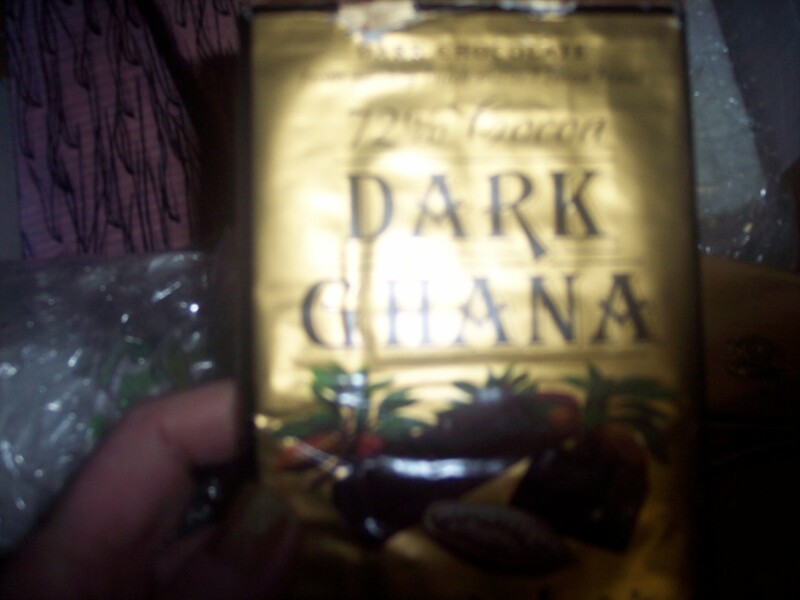 Like RJ’s NaTURaL licorice, Some Ghana chocolate, and an I phone and an very cool art history book. ← Spice cabinet and large bunny..
Love packages! Even when I placed the order myself (so know what should be in the package), I still feel like a small child when opening the carton…. 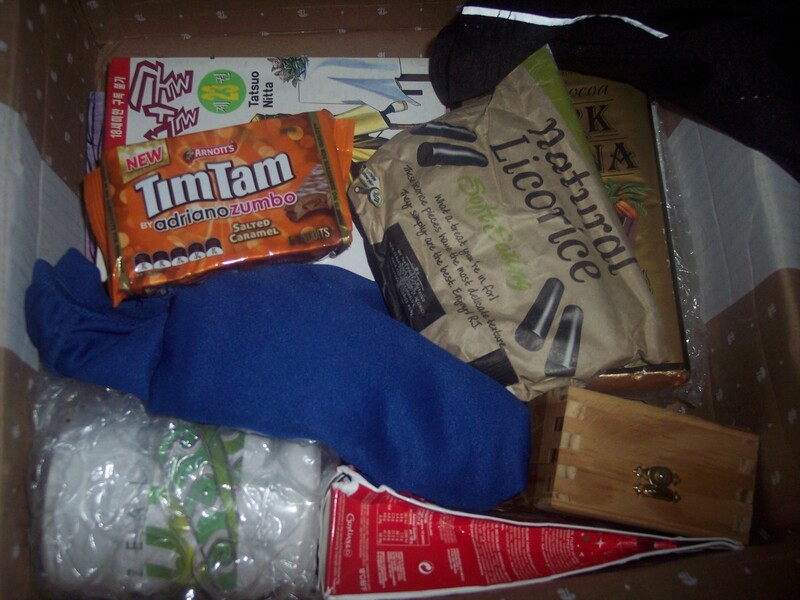 It was a box of presents from the GF in New Zealand so it was a special event..I took photos of every step, put on the new shirt and took a selfie for her while I ate the tim tams..